Near the fort, established in 1533 by the Mughal Emperor Humayun in Delhi’s Nizamuddin East. And red stones were used in it when the first tomb. In 1993, the tomb was declared a UNESCO World Heritage Site and is famous around the world since the tomb. The extraordinary amount of Humayun’s Tomb inside the small memorial is also made, as soon as we enter the southern entrance of the mausoleum built in the same way we have seen small memorial. 1533 में मुग़ल शासक हुमायूँ द्वारा स्थापित इस किला के नजदीक दिल्ली(Delhi) के निजामुद्दीन ईस्ट में है. और बनाते समय उसमे लाल पत्थरो का उपयोग किये जाने वाला यह पहला मकबरा है. 1993 में इस मकबरे को यूनेस्को वर्ल्ड हेरिटेज साईट(UNESCO World Heritage Site) घोषित किया गया था और तभी से यह मकबरा पुरे विश्व में प्रसिद्ध है. हुमायूँ के इस मकबरे के अन्दर बहोत से छोटे-छोटे स्मारक भी बने हुए है, जैसे ही हम मकबरे के दक्षिणी द्वार में प्रवेश करते है वैसे ही हमें रास्ते में बने छोटे-छोटे स्मारक दिखाई देते है. 1. Humayun sat enthroned at the age of how many? 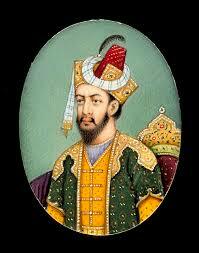 2.Before sitting on the throne of Delhi Humayun Sbedar Where was it? 4. 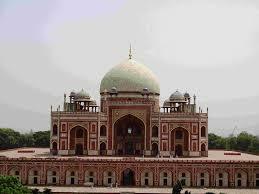 What city near Delhi Humayun founded?
. दिल्ली के नजदीक हुमायूं ने किस नगर की स्थापना की ? 5.Chausa among whom was the war? 6 .Chausa who was defeated in the war? 8.After losing in the war which had to seek refuge outside India Humayun? 9.When was the Battle of Kannauj? 10.Humayun fled at the start of exile where? 12Humayun, who twice gained power with the help?
. किसकी मदद से हुमायूं ने दोबार सत्ता हासिल की ? 13.How did the death of Humayun? 14.What is the order of the four wars fought by Humayun? 15.Who built the Humayun’s tomb in Delhi?